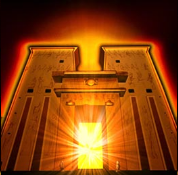 Online slots fans will already know that the Ancient Egyptians have provided us with the inspiration for many games in the past and presumably this will continue long into the future; Eye of Horus is one more to add to the list – it’s developed by Blueprint Gaming and it comes with an enhanced free spins round. 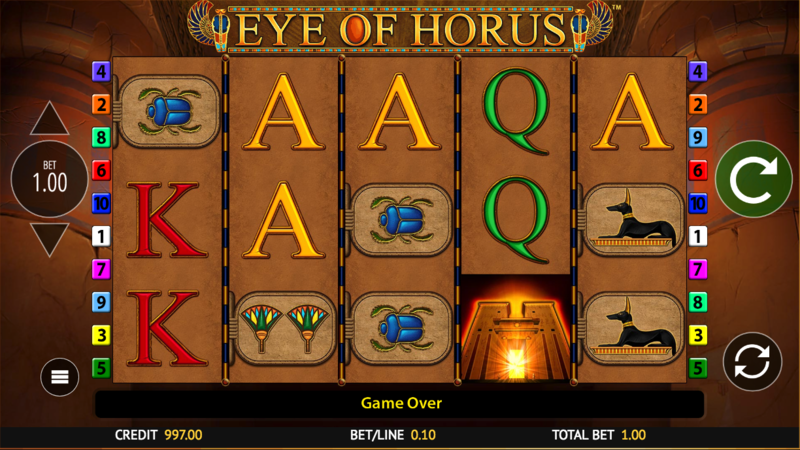 Eye of Horus is a five reel slot with three rows and ten fixed paylines; the symbols spin on sand coloured spaces while the backdrop features huge columns on either side, perhaps the entrance to some Pharaoh’s tomb. There are five high value symbols and these the include Eye of Horus, Anubis, Horus as a bird, a blue scarab and two ankhs; J, Q, K and A make up the lower values. Horus himself is the wild and he will substitute for all others to help form winning combos except for the tomb entrance scatter symbol. The wild will expand to fill positions on his reel each time he lands. This is the only feature and it’s triggered by landing three or more of the tomb entrance scatter symbols anywhere in view; you will now receive twelve free spins on the same set of reels. During this round any wilds which land will award one extra spin and they will also upgrade the lowest value picture symbols to the next one up. You can see this in action in the video above as the symbols are gradually converted to higher value ones. Each win can be gambled by using the playing card symbol which appears on the left hand side; you can try and double up your win five times but of course a wrong guess will lose it all. 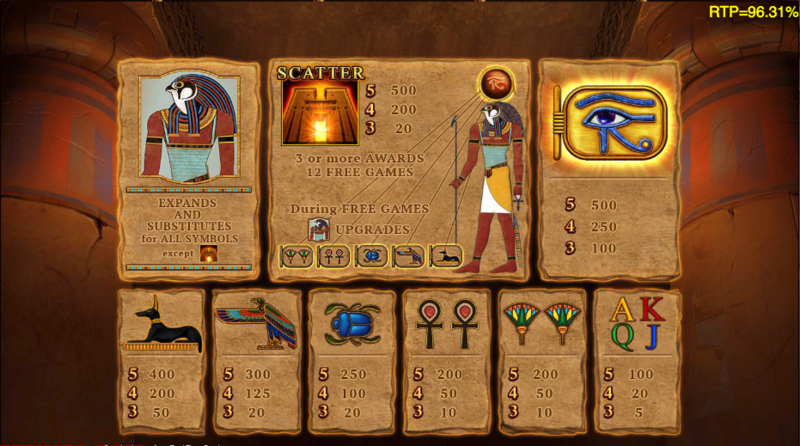 Eye of Horus would be a run of the mill slot if it wasn’t for the extra feature during the free spins round in which the symbols are upgraded to the next level; aside from that it’s a nice looking game with an RTP of 96.31%.